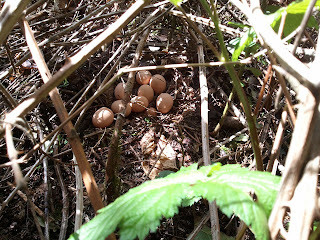 Angie's Suburban Oasis and Northwest Cavegirls: We found the brown eggs! 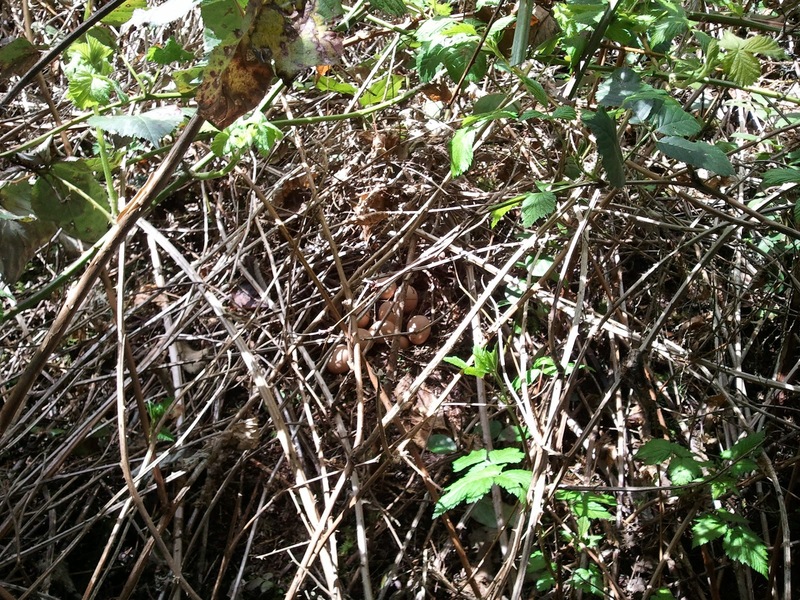 In an earlier post, Pre-Easter Egg Hunt, I took you on a tour of where our feral chickens were laying eggs around the yard. 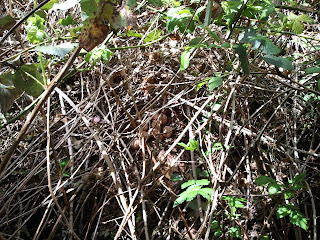 A that time, the Barred Rock hens' nest(s) hadn't been found, but...now they have! That dastardly hen decided to lay her eggs in the black berry brambles. But even black berry brambles are no match for me and my pruners!